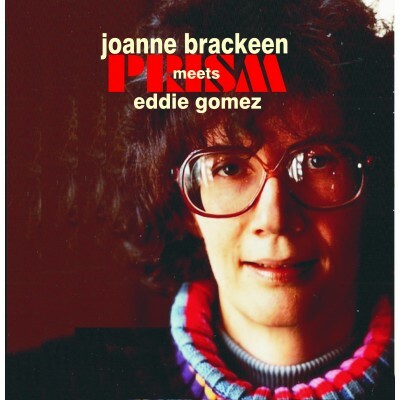 Born in Ventura, California, Joanne Brackeen began taking the piano seriously at age eleven. She studied formally for only a brief period, discovering that her musical interests ran contrary to what her teachers espoused. She, therefore, relied on herself to develop her musical skills and concepts. The young pianist spent many hours practicing, listening to and thinking about the sounds she wanted to play. Joanne began her professional musical career on the West Coast, playing with such noted musicians as Teddy Edwards, Harold Land, and Dexter Gordon. However, she soon felt the need for the stimulation of New York's jazz community. In 1965, Joanne migrated to the city which has been her home ever since. During the next 12 years, she performed with many musicians, including Art Blakey, Joe Henderson, and Stan Getz, as well as leading several small ensembles. 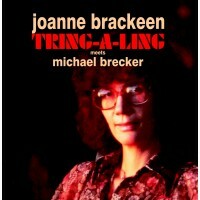 The pianist's experiences with the divergent styles of these three important musicians helped refine Brackeen's approach and introduced her to a wider audience. Since 1977, Joanne has been concentrating on playing her own music. Her art is constantly becoming richer and more expressive as she explores various formal structures and emotional moods. The result is a powerful and searching pianism which audiences respond to enthusiastically. Joanne's sound is intense and sharply percussive with a strong, rhythmic thrust. While some characterize her approach as energetic, the pianist prefers to describe it as natural. Her music is an extension of herself; she strives for an interrelationship between her emotions and her art. By following her instincts, she achieves a flowing, yet highly charged music. At the piano, Joanne is mesmerizing. Her strong, dancing lines act as a magnet, drawing the listener into a special world, Prism recorded on August 20, 1978 successfully documents the artist's powerfully rhythmic music on seven of her compositions. 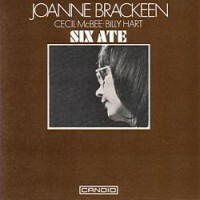 While the combination of Joanne and bassist Eddie Gomez (who has also played with Bill Evans, Jeremy Steig, Jack DeJohnette, and many others) lacks a drummer, the absence of percussion instruments further highlights the pianist's ability to infuse her music with spirit and drive. Up-tempo compositions like If You Dare contain bold, sharp chords, emphasizing the music's melodic patterns with their sometimes surprising twists and leaps. Notes tumble rapidly over one another or as on Lost and Found are phrased in a more breathing-like manner. Habitat further exemplifies Joanne's interest in and mastery of rhythm. The piece also includes a dramatic use of dissonance, adding to the composition's compelling intensity. Even on the slower compositions, Joanne is able to project a forward moving thrust. This is largely due to her method of playing on top of the music's pulse. Evanescent for example, maintains a feeling of perpetual motion. Prism's ensemble makeup is in keeping with Joanne's preference for playing in small groups of under five musicians. She feels that such an arrangement offers a greater opportunity for personal expression and spontaneity. The album's intimate duet setting is especially conductive for extended musical dialogues, simultaneously showcasing individual concepts and the composite sound. Joanne and Eddie establish a partnership rather than a soloist/accompanist relationship. On International Festival and the title tune Prism, each musician dominates the proceedings at different points as well as engaging in counterpoint, giving the music a conversational quality.